Solar energy has a slightly different conversation about energy usage than maybe you’re used to. 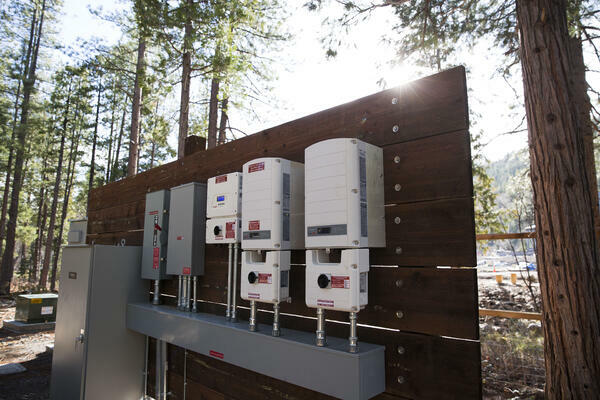 When a solar system is installed, it comes with a unique relationship with the grid, as well as with the possibility for storage (solar batteries). Find out below a basic understanding for how the grid works with solar energy, what batteries are for, and how to make the most of the system you've bought. Solar energy at your place can work in a couple different ways. Most often, systems are designed to be interactive, or grid-tied. This system is interconnected to the grid, and with it comes some solution. When the homeowner is at work and the sun is shining, the system is making energy. With nowhere to send it (no one is home using it), the system sends it to the grid where the grid holds it for the homeowner until they get home. If the homeowner gets home at dark and they turn on the lights, they’ll be using energy from earlier that day instead of paying for it (from the electric company). 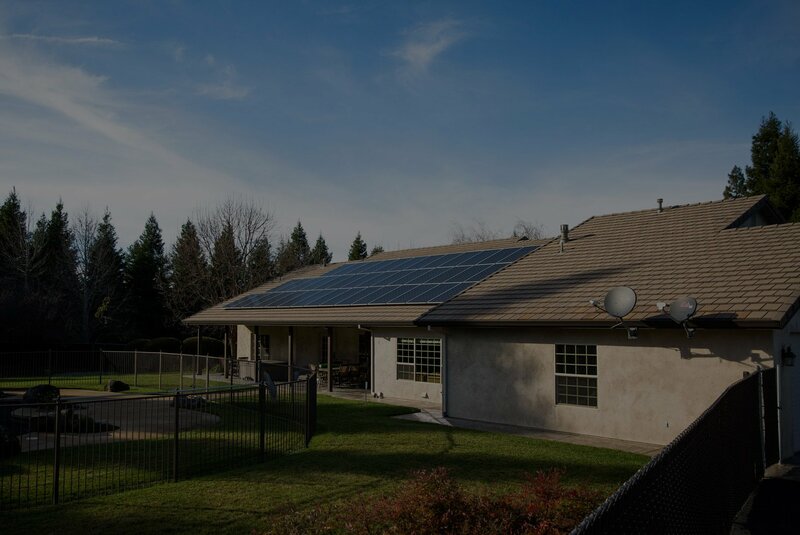 This type of system is the basic option for an installed solar system, and while it does give the homeowner opportunity to use the sun’s energy throughout the day, it doesn’t protect the homeowner from power outages, or other emergencies. This type of system also means that when the solar system runs out of the energy it made during the day (per our example), that it must buy energy from the electric company. Without a battery (means to store overproduced solar energy), the homeowner is somewhat underprepared when their norm changes. Example: Let's say that the homeowner goes out to work for the day and gets back a little after six. It’s summertime and the sun is up until eight. The homeowner has some friends over, starts a load of wash, gets the party going. Needless to say, around 9 o'clock, the energy the homeowner had from the day is out, and the party's just begun. The homeowner will tap in at this point and pay PG&E prices for the rest of the evening. While this isn’t as big of a deal in the summertime, when Northern California sunshine is superabundant, it is a big deal in the wintertime, when the sun is down at 5:30, and the homeowner is paying peak time energy prices from 6 PM on. Peak time is from 8:30 AM to 9:30 PM for homeowners, and is also when the utility company is charging the most for electricity. A battery allows a system to store its overproduced energy away and further hedge itself from energy prices. It also protects the homeowner from power outages and other variables that affect energy use. A battery adds about $10,000 to the price of the system. Is it worth it? Here is a blip it from a case study we did, where we interviewed some of our clients with batteries to find out if solar had really eliminated their energy bill. "All four clients transitioned to solar energy to save on their electric bills, as well as to hedge themselves from rising energy prices. The consistent thread we found was that while the customers were paying more for energy (including the system), they had greatly reduced their electric bill. Out of the four system owners, three of them were paying an average of $30 a year ($2.50/month) to the electric company. This was in comparison to a $250.00/month median (for the electric bill) before they purchased their solar system. While all of these clients are experiencing virtually no electric bill today, they are paying more a month (in terms of energy), than they were before. The difference is that now, instead of paying that (x) a month for energy, they are paying the (x) towards an energy structure." All in all, we’ve concluded that the grid holds the homeowner’s unused energy and sends it back when the homeowner needs it. We’ve also found out that when the energy reserves run out, the homeowner must pay whatever price PG&E is charging to have energy in the house. The ideal set up is when the homeowner is tied to the grid and installed with a battery. The battery comes in handy when you need energy most (during a power outage, at night). The grid gives the homeowner a sense of stored energy to tap in to, but it is limited. While grid tying the system doesn’t cost much ($5/ a month), having the battery is an investment ($10,000). It is a wise investment if you’re the type that has fluctuating energy usage, and would rather be charged extra in one sum (with the investment) to cover it. The battery hedges the homeowner from paying those surprising electric bills, giving the homeowner a sense of solidarity that solar energy really has forever fixed their energy bill.